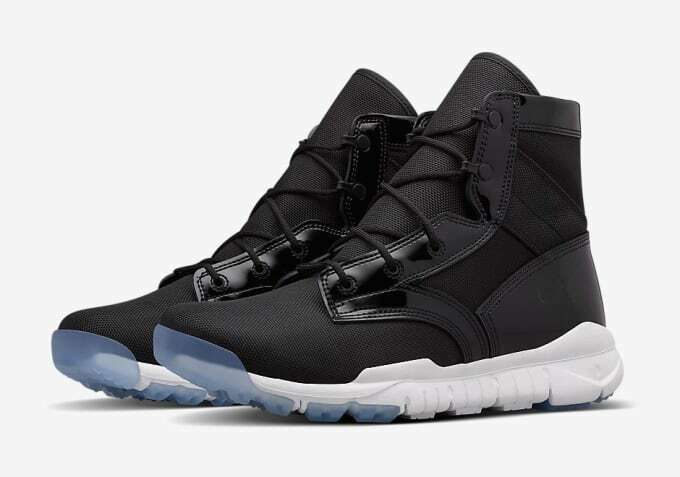 Despite the fact that most people will be looking for lightweight, comfortable, and white-based sneakers for the Summer, like the Nike Air Force 1 High CMFT QS, NikeLab just went in a completely different direction by releasing two new SFB Boots. Both SFB Boots feature premium black uppers with one pair done in a mix of ballistic mesh and smooth leather and the other done in full smooth leather. The outsoles link back to Nike&apos;s classic tooling with one pair donning a mix of white and ice, which we can&apos;t help but think was inspired by the "Space Jam" Air Jordan XI, and the other going full gum. 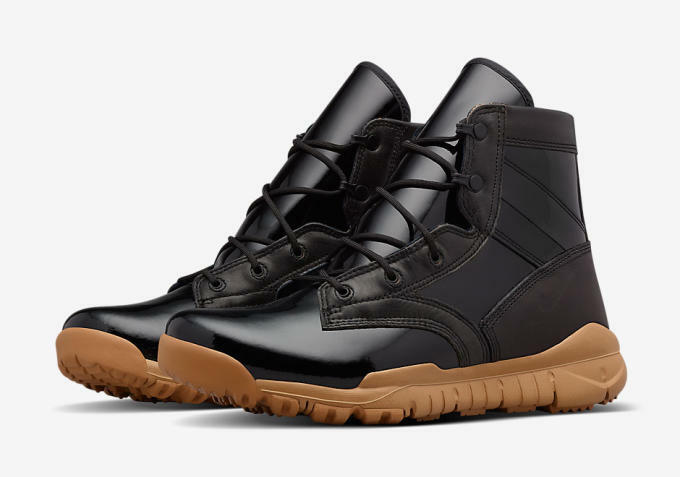 No word on a release date in the U.S. but both boots just released at NikeLab locations overseas.